It is used for measuring straight line pushing force, which is negative, along a single axis. They are highly accurate, long lasting, and usually built out of stainless steel and are therefore very strong and can handle harsh environments. Objects that are regularly under compressive stress, like engine components, are weighed by compression load cells to prevent buckling and to test their strength and resistance. 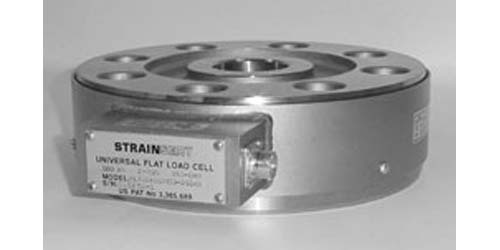 Compression load cells are used for heavy loads on bin or truck scales in industries like automotive, aerospace, manufacturing, and agricultural. By subjecting materials and objects to compressive stress, compression load cells save space and reduce their volume. They exhibit internal button design, which measures the compression of the load on the scale. Compression load cells are mainly composed of a sensing element, which is often a force gauge and a circuit, which is the connection of the gauges throughout the load cell. 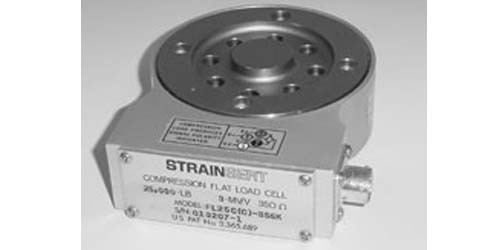 A strain gauge is another common element of the compression load cell, used to take the actual measurements through conversion of the internal conformation into electrical signals. Compression load cells can vary significantly in design and construction. There are many different types, including pedal force, miniature, which are small units that can fit into tight areas, high capacity, which are used for heavy loads, subminiature, load button, force washer, and donut. Compression load cells are not the only major style on the market. The other is called tension load cells, which basically measure the opposite force of compression; considered a positive force, tension cells measure the straight-line force “pull-apart”, while compression focuses on measuring the push together force and is considered a negative force. Other differences in the load cell industry may apply to both types of these major load cell categories. The various types of analog sensor output, such as analog current, analog frequency, and analog voltage, can be measured with load cells but must be specifically designed with one or more of these outputs in mind. For example, an analog output that will need to be sent over a long distance works best in the analog current style, which works like a transmitter. Compression Load Cells Compression load cells measure the strength and size difference of an object or material when it is subjected to compressive stress that results in size reduction.